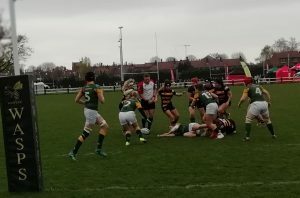 In the gap between the end of the Tyrrells regular season and the semis, Giselle Mather, Wasps’ head coach, cunningly slipped an extra match in against the Dublin club Railway Union who hail from less than a mile east of Donnybrook. This was the very first contest between a Tyrrells outfit and an AIL club. There was a lot of talk last year of Anglo-French tie-ups at club level, but it hasn’t come to much yet. This is another angle that should be exploited for all its worth. Very neatly, both clubs are facing a semi-final in their own national competitions next weekend. So this was an interesting alternative to putting your feet up and reserving your end-of-season juices for the Big Games. At the start Railway got close enough to the Wasps’ line to opt for a penalty, but after ten minutes Claire Purdy finished off a fine move to calm any home nerves. Andrea Stock benefited from good handling to push the score out to 12-3. Determined defence was needed to keep the Irish out but they were rewarded with a second penalty. 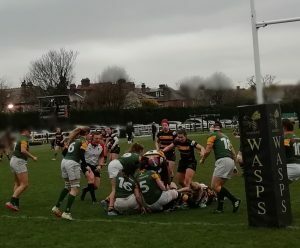 Abby Dow, Wasps’ one remaining Red Rose on the field, ended the first half with a fine score in the corner which Lizzie Goulden converted despite the conditions. Play swung from end to end, and the hosts needed all the defensive fervour to keep Railway out. In the final moments Mica Evans was on the end of a decisive move to raise the home total into the 30s. On a bitter April day Wasps proved the better side, showing more accuracy in handling and more thrust in finishing, but Railway kept countering till the end. 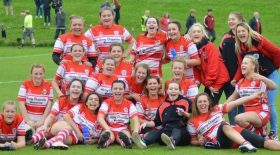 It was a splendid occasion which both clubs want to repeat. Wasps deserve huge congratulations. After their exertions in putting on the Big Swarm last week, they didn’t curl up in front of the fire. 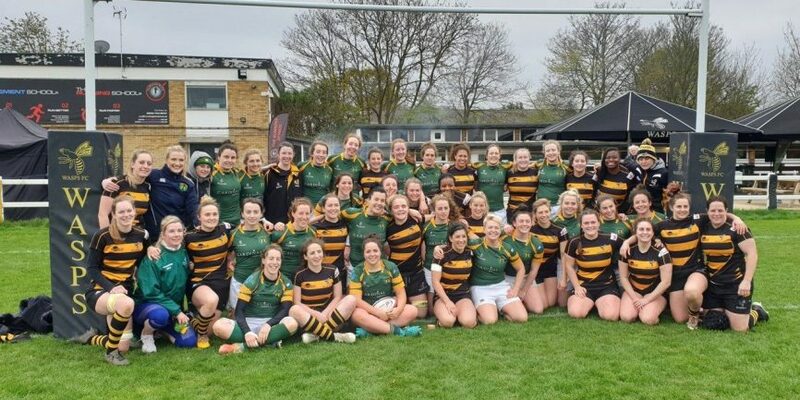 Apart from today’s major attraction, hundreds of tag players filled the 22 acres of Twyford Avenue, revealing the best qualities of a leading amateur club.